The quotation in the picture above is wrong! Life is not just a journey, it is also destination. Life is both about achievements and how you achieve it. It can’t be just about how you do things! It also has to be about what you achieve! Story 1: A thief goes to a house, he steals, no one knows. He is safe. He can now happily enjoy whatever he stole. Story 2: A thief goes to a house, owner caught him stealing. He was beaten to death. What is a journey and what is a destination in above mentioned stories? Is how thief steal a journey and consequence(getting caught or not) the destiny? Aren’t all those things just life of thief! 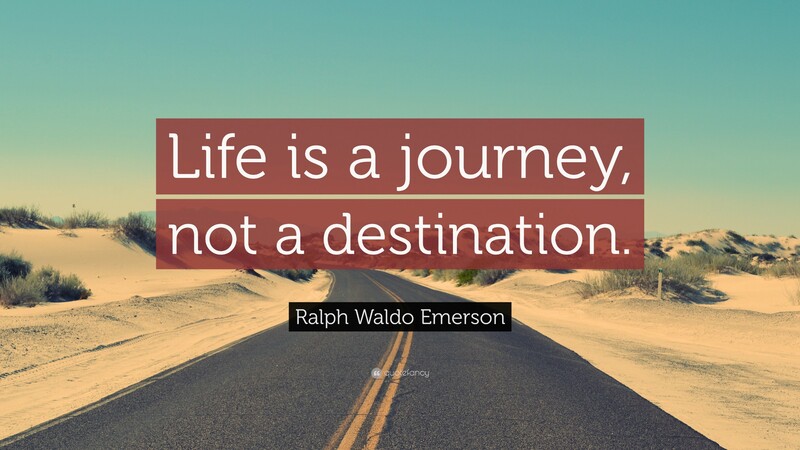 Shouldn’t we rather say life is both journey and destination. If life is both journey and destination, which one is more important? I know you came to read this article to find out answer to this particular question but I think this question is stupid. It’s like asking which leg of yours is more important? Right one or left one? We know the answer. BOTH! But why do many life coaches glorify journey above destination? I think I have a answer. It’s because they are right. Confused? Don’t be, it is right because it is knowledge passed to people who just care about end result. Now the guy has become cheerful and is happily working for his dream car. After some time he even bought his dream car. Now as a life coach, what would you say to this guy who owns his dream car? “Look mate, you had great fun while working for this car, now hand it over to me, journey is important and not destination”. Chances are high that you will get nice beating. What sounds more logical is to let this guy celebrate his achievement of owning his dream car. For a wise man, both journey and destination is important. He even celebrates his journey and definitely celebrates destination. There is no reason to fight over journey and destination. The most important thing is now! What really matters is how you are feeling now, regardless of what you are doing.